and experienced landscape designer. She creates and enhances landscapes and garden beds that reflect the needs and desires of her clients. 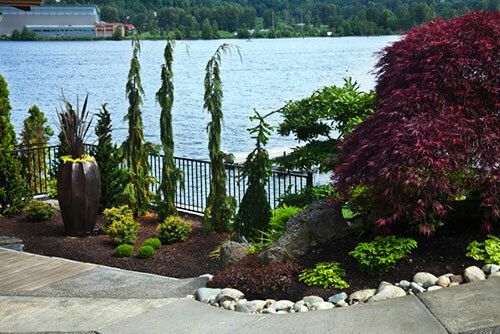 She has designed and installed over 100 individual landscape projects in the Puget Sound area. As such, Shannon is intimately familiar with the unique challenges of design, plant selection and maintenance in the Pacific Northwest. The key to a beautiful and sustainable design is the proper selection of plant material that addresses each property’s unique characteristics. Better known as “Right Plant, Right Place” this is something only a trained, professional landscape designer can guarantee. Shannon Grina, of Grina Landscape Design believes that "function is foremost" in any landscape design or renovation. How a client desires to utilize their outdoor space is fundamental in achieving a successful design. Through on-site meetings, she prides herself in listening to each client’s needs and then designing landscapes that optimize outdoor spaces. Shannon is also a Featured Designer with APLDWA, check that out here. Selecting a Certified Professional Horticulturist for a landscape design project ensures working with a knowledgeable, experienced professional committed to the highest level of proven horticultural practices. Professional landscape designers are experts in creative idea generation and present concepts designed to meet each client’s goals and expectations. Shannon specializes in creating a plant palette with varied colors and textures that provides continuing interest throughout the year. As important as the design and the plant selection, is the ability to plan and sequence the work required to implement the project. She has access to valuable resources and can assist with construction planning and act as a contractor liaison. Shannon's vast experience will help avoid common pitfalls of poorly thought out work plans or improper plant selection. Hiring a qualified professional is a smart investment for any homeowner looking to enhance their property. “Shannon clearly values relationship with her customers, and her accessibility and follow-up even after the completion of the project has been extraordinary. What Grina Landscape brought to our renovation was a great value, and I recommend Shannon and her services without reservation”. “We absolutely love our new landscape design. We have had many others in our community ask for referrals to Shannon Grina after seeing our beautiful new yard. 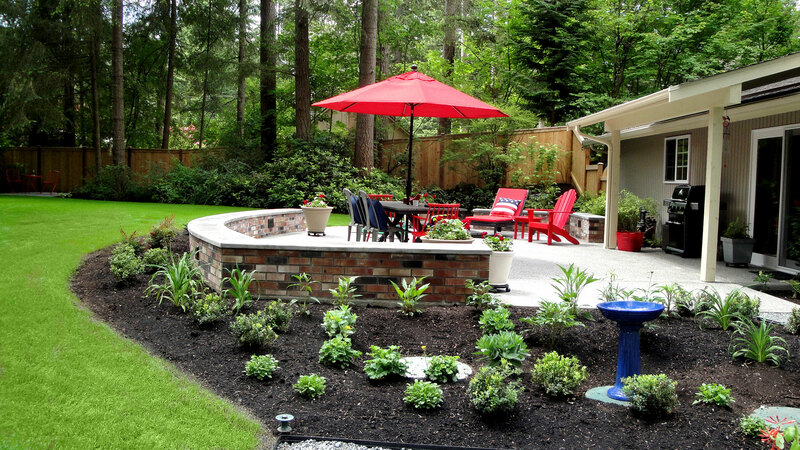 We highly recommend Grina Landscaping!” Read more reviews here.